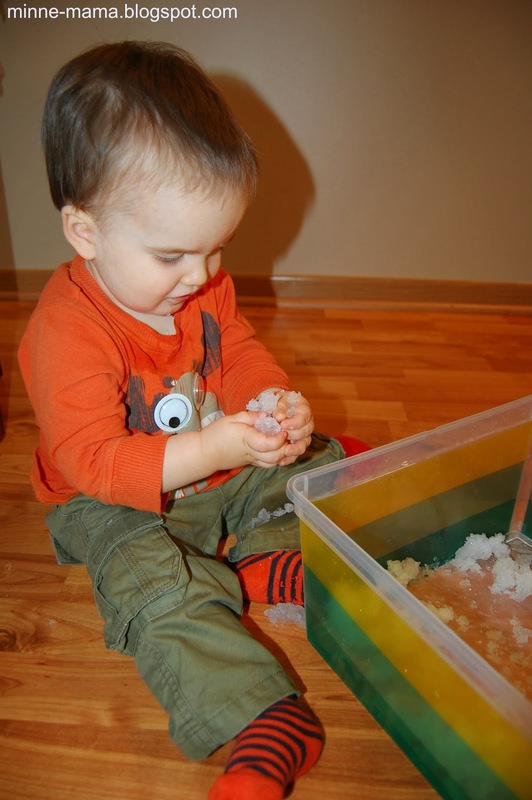 We use a lot of sensory play in our house. 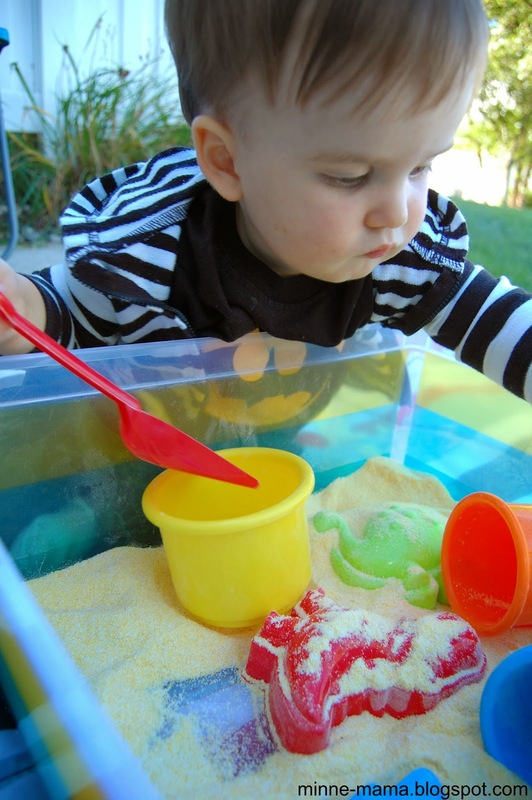 I am a big fan of sensory bins. 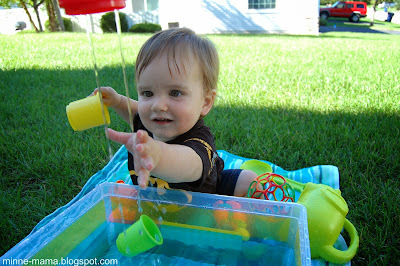 For Skyler's first birthday, I wanted to get him a sand/water table, but could not justify the cost when we were planning on other gifts as well. 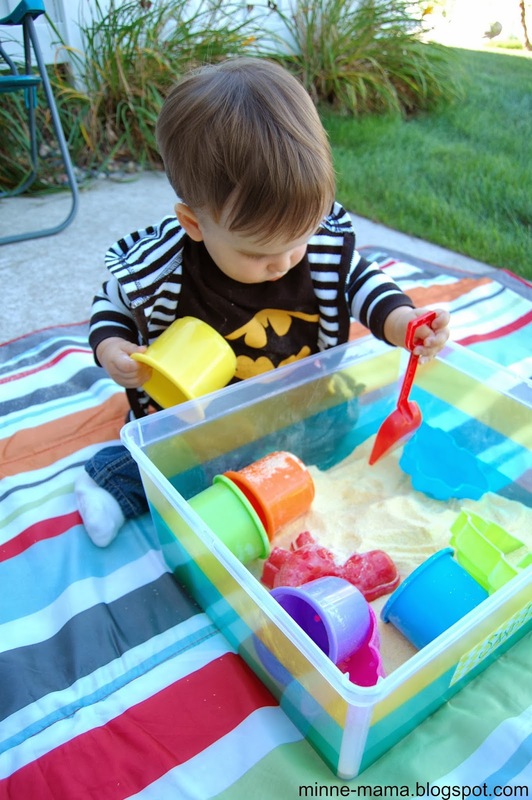 I was talking to Joe about it when he said "my mom just put cornmeal and toy trucks in a Rubbermaid container." 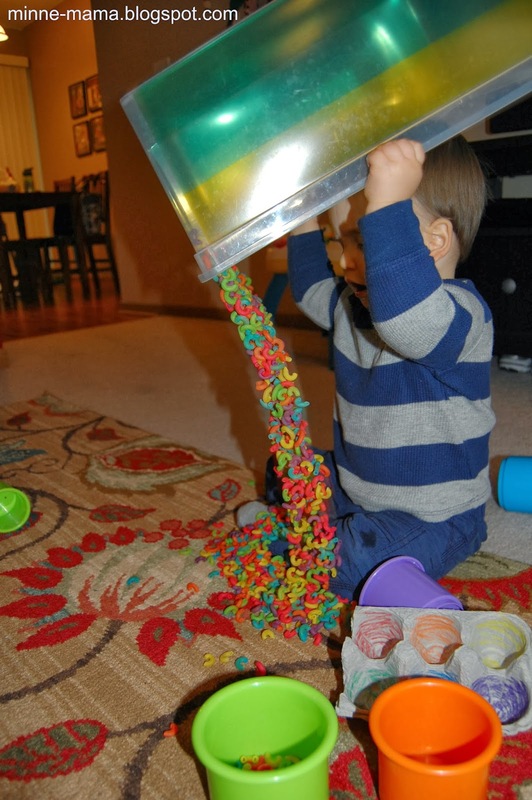 It should have been so obvious to me, but I suppose as someone working in schools and childcare centers I always saw the 'real' thing, and a simple plastic bin did not cross my mind. 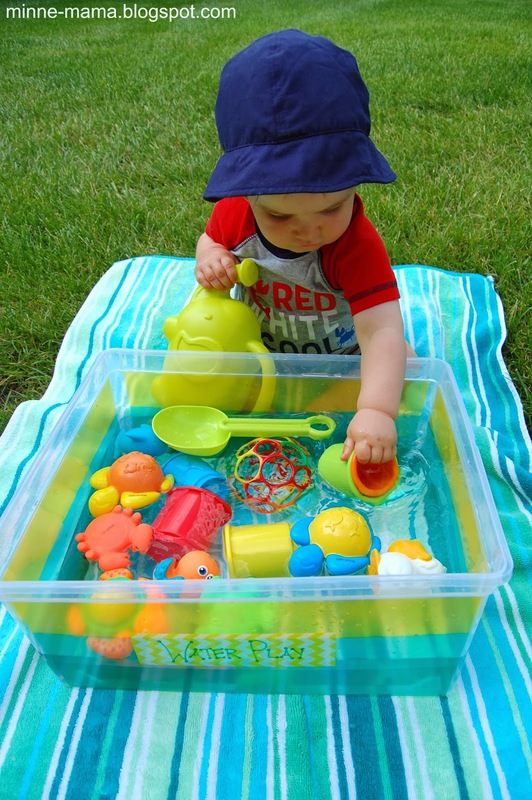 I went out and got two bins, one I labeled 'sand play' and the other 'water play'. They stayed that way in the summer, but since then we have just been using both as rotating sensory bins. 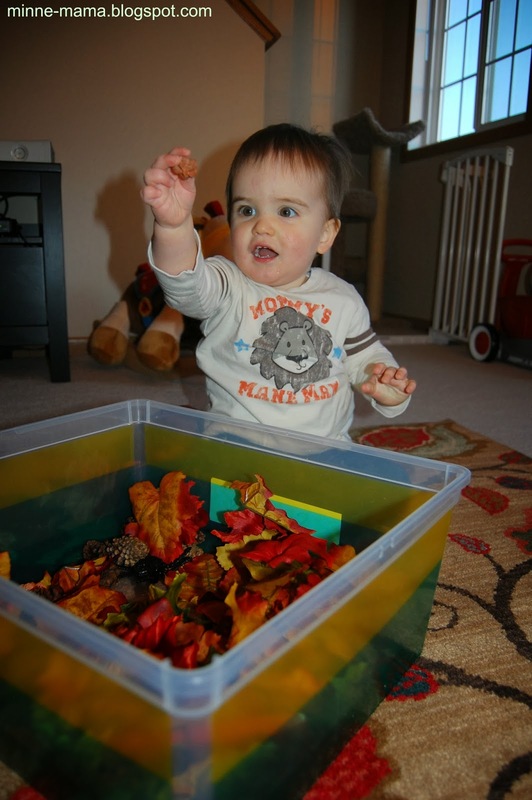 Whenever I give Skyler a bin filled with new sensory materials, he gets very excited! 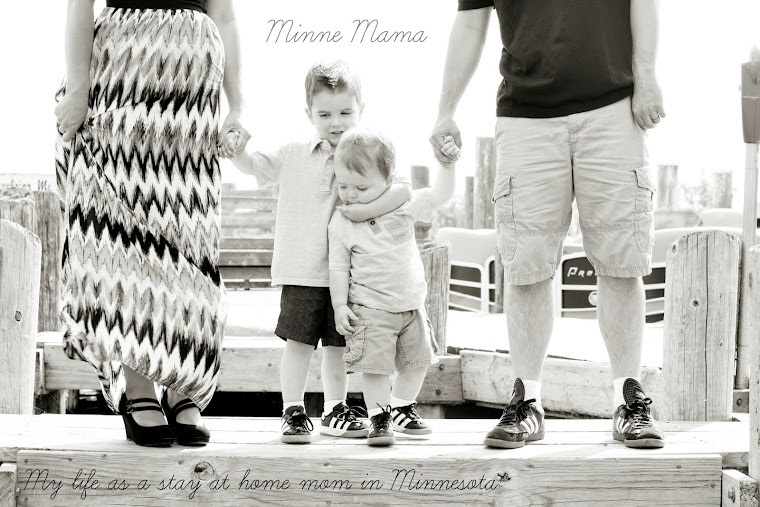 He always smiles when he sees one of the boxes coming out and he will frequently run to the dining room and ask for them, or even carry them out of there on his own. Last week we started using a colored pasta bin and now all I hear is 'pasta, pasta!' when he wants to play with it, no matter where we are! Sensory bins are a great way to learn through play, Just by using the sensory materials and having me describe what he is playing with, Skyler learns about his various senses (not so much on taste though, he has never been a put-everything-in-the-mouth kid), as well as concepts like shapes, colors, and numbers. 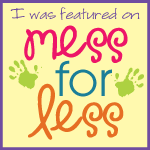 These are some of the bins we have especially enjoyed! 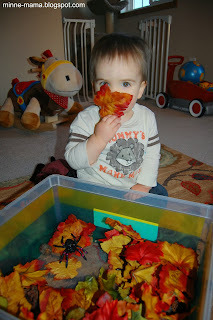 Fall sensory bin with leaves, cinnamon scented pine cones, and hidden insects. Skyler had a lot of fun 'blowing' the leaves and making them fall to the ground. Along with the pine cones I got, there were some unidentifiable bulbs that made great shakers! Snow play with cups and shovels. 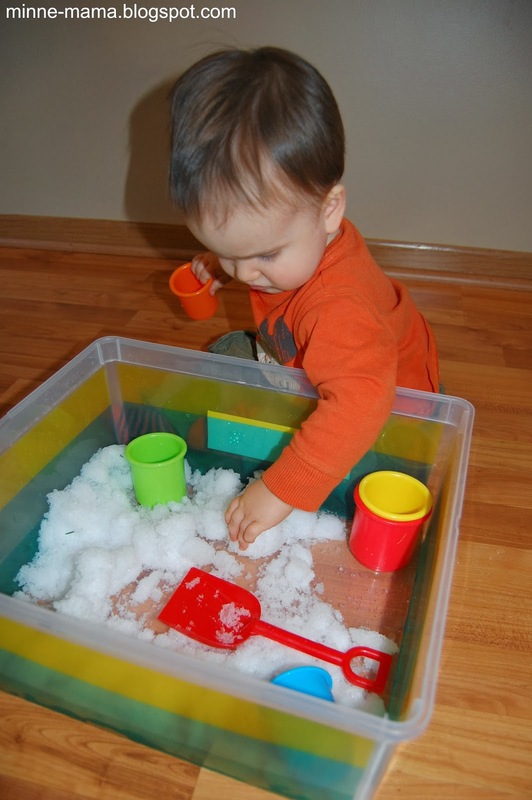 He started with mittens on and was hesitant, but wanted to touch the snow more and more. Skyler enjoyed it when it began to melt! 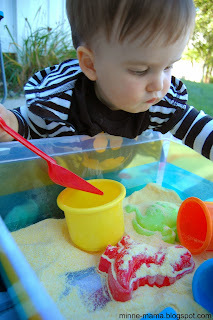 Colored pasta sensory play. I used this pasta and the colored egg cartons when I student taught in Kindergarten. The students used tweezers to sort the pasta as a fine motor activity during a color unit. Skyler used the cartons to play for a couple of minutes, and then walked over to get his colored cups. The cartons are still in the bin, but he prefers to fill and dump the pasta out of the cups (it also makes a better noise! ), and once the entire bin onto the floor! I don't rotate the bins as often as I thought I would because Skyler's level of interest with the bins continues for many weeks! When it seems like he is not interested in using the materials in a bin any longer, I will put together a new one. 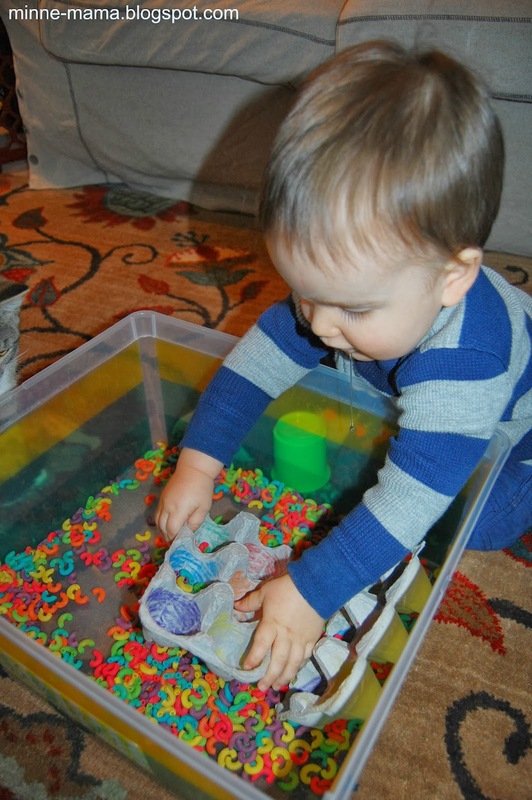 I enjoy having two bins for that reason, they usually overlap for a couple of weeks where he will be very interested in the newest bin, but still wants to play with the older bin. Skyler still occasionally wants to play with the leaf bin, but the ground has been snow covered for weeks in Minnesota now, so it is time to move on! I am excited for him to see the next bin I have in mind.